If you own a building built between 1950 and 1980, chances are, if you haven’t already had an asbestos survey done, you could be unaware of the material presence on your property. Home and business owners in New Zealand are by now well aware of the respiratory health issues caused by airborne asbestos fibres. The material has been illegal to use in construction and building insulation for nearly 30 years, and a generation of Kiwis has grown up with information on the dangers of asbestos made freely available. This has made identifying and treating asbestos materials in homes and businesses a much easier task. Despite the public knowledge on the fibrous material, many people may not know that once you’ve identified and removed asbestos from your property, there is still one further step to ensure total safety: a comprehensive asbestos clearance report. In this article, we’ll guide you through the asbestos treatment process, and the steps you need to take immediately afterwards to prove that your property has been assessed and treated adequately by asbestos professionals. If you think your property may contain asbestos, you’re better off checking to be certain. Asbestos professionals can help guide you through the first phases, taking the material sample needed to perform adequate asbestos testing. From there, they can recommend a suitable method for addressing the asbestos contamination. If the material is in good condition, it may be more practical to seal it with an encapsulation treatment. Otherwise, total asbestos removal ensures your health won’t be on the line long-term. It’s important to get the help of accredited asbestos experts during this process. Unless you’re a licensed asbestos removal specialist or assessor such as the Chemcare team, any treatment or removal work may not be compliant with New Zealand Health & Safety at Work Regulations. Any action taken without the proper license can cost significantly, which makes securing an asbestos clearance report vital. What is an asbestos clearance report? An asbestos clearance report is carried out by licensed experts to ensure that any treatment or removal work is done to New Zealand safety compliance standards, and to check there is no further safety risk. The report covers where the asbestos was removed, the transit area, and where the asbestos was ultimately disposed of. WorkSafe New Zealand determines that this clearance inspection can be completed by a licensed asbestos assessor or another independent, competent person. It’s key to note here that the company performing the initial asbestos treatment cannot also issue the clearance report. Think of it as getting a set of impartial eyes on the project to ensure your home or business is safe to occupy again after the asbestos removal is complete. 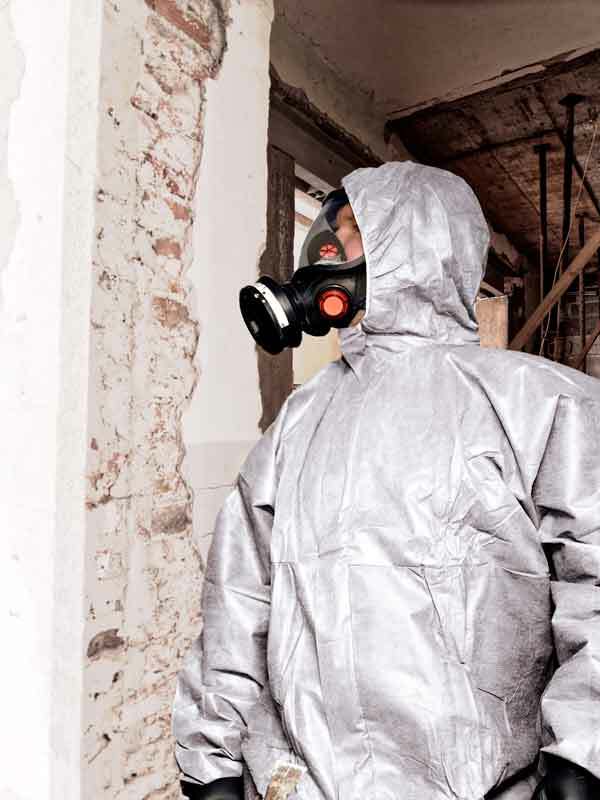 How does the asbestos clearance inspection work? Preliminary check of site condition and job completeness. This involves looking over the site to ensure there is no obvious material remaining from where the asbestos was first identified and no debris from removal or treatment work. Thorough visual inspection inside the enclosure/work area. This involves another look over the entire asbestos removal/treatment site. The assessor may ask to see some of the tools used during the project, or may request information on how any asbestos materials removed have been disposed of. Air monitoring. The assessor will use expert testing tools to see if there are any asbestos fibres in the air. This stage is vital, as the material fibres are too small for the naked eye to see, and a high reading may mean it’s unsafe to return to the property immediately despite the asbestos being removed. Final assessment and post-enclosure/work area dismantling. This is a final quality check. Afterwards, the licensed assessor should provide you with an asbestos clearance report and make recommendations about how to pack down the site and when people can return. The individual who first commissioned the licensed asbestos removal work is charged with ensuring the independent asbestos clearance assessor carries out the inspection and provides the right certification after the process is complete. Why do we need asbestos clearance reports? Whether you’ve asked asbestos professionals to assist you with identifying minor contaminants, or they’ve provided a full asbestos removal service, getting clearance certification is vital. Firstly, you need this to comply with New Zealand asbestos legislation. The respiratory health of Kiwis is a very serious concern, so any asbestos treatment projects done without the proper authority can land homeowners or businesses in a lot of trouble. Secondly, asbestos clearance reports offer the peace of mind that all work carried out by asbestos professionals has been performed to a high standard. This not only guarantees the health of your family or others using your property, it also ensures you’re getting value for money from your asbestos treatment services. At Chemcare, we take the health of our clients, and all Kiwis, very seriously. Our experienced and professional team can perform a range of asbestos treatment and removal services, and can also offer assistance with clearance inspections. For more information about how we can help, contact the Chemcare team today.